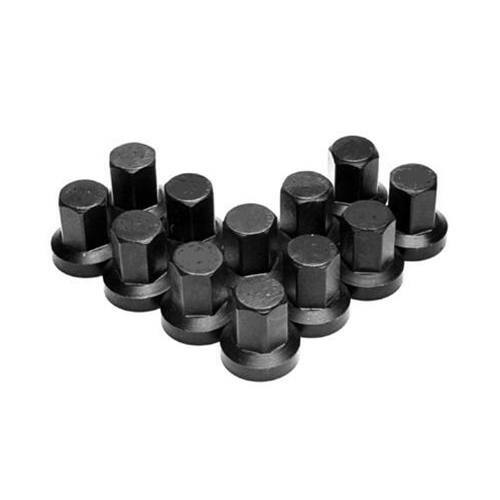 Super heat treated cylinder head nuts are a must for high output engines. Help prevent blown and leaking head gaskets caused by the threads in the soft stock nuts stretching. APE nuts are machined from alloy steel and fully heat treated for maximum strength. Nuts are .150" taller than stock to prevent the nut from bottoming out on the stud when the head has been milled. For use with APE Pro Mod studs.